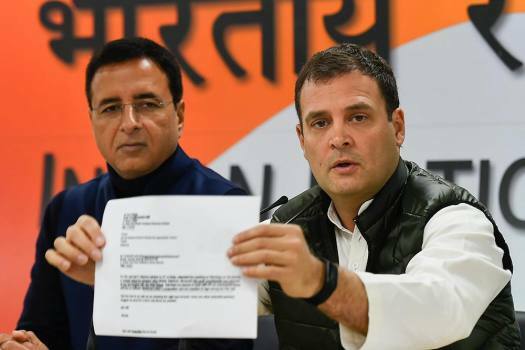 Congress leader Randeep Surjewala with Ahmad Patel address media personnel on BJP manifesto at party office, in Delhi. 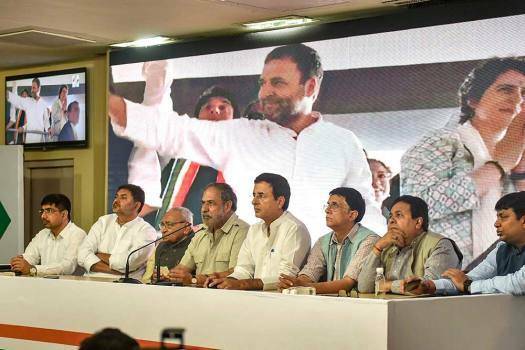 Senior Congress leader Anand Sharma with party spokesperson Randeep Surjewala and other leaders during the launch of the party's publicity campaign, at AICC in New Delhi. 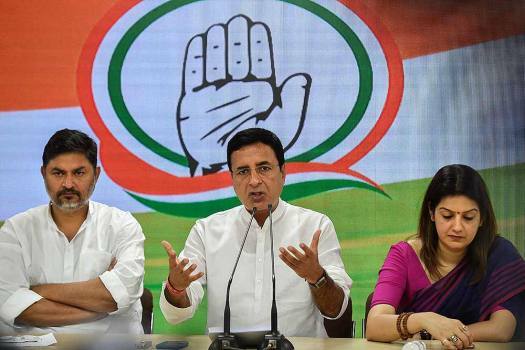 Congress National Spokesperson Randeep Singh Surjewala gestures as he speaks during a press conference, in New Delhi. 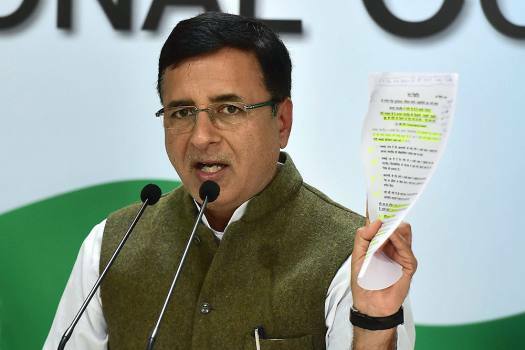 Congress Spokesperson Randeep Singh Surjewala addresses a press conference at AICC, in New Delhi. 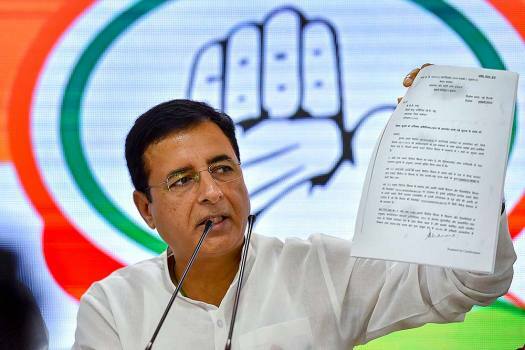 Senior Congress leader Randeep Surjewala during a press conference, in New Delhi. 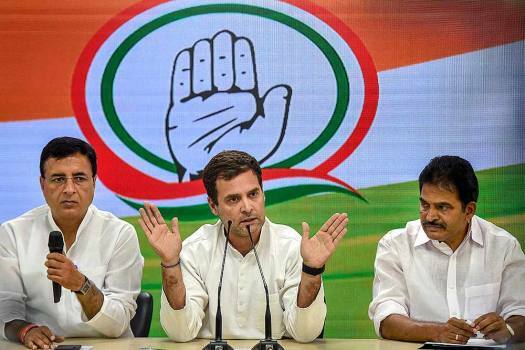 Congress President Rahul Gandhi addresses a press conference, at AICC HQ, in New Delhi. 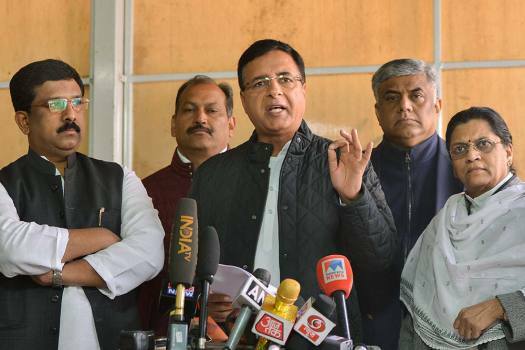 Party Spokesperson Randeep Surjewala and party leader KC Venugopal are also seen. 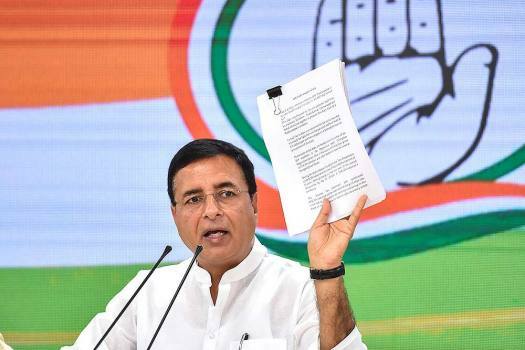 Senior Congress leader Randeep Singh Surjewala addresses a press confernece at party headquarters, in New Delhi. 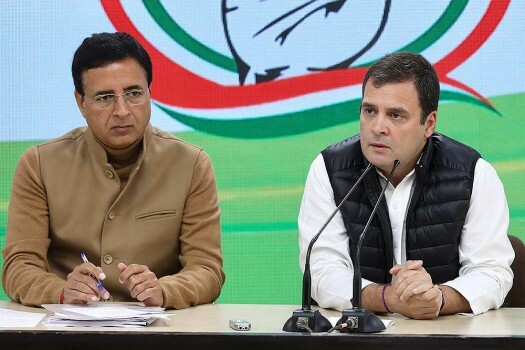 Congress President Rahul Gandhi with spokesperson Randeep Singh Surjewala during a special press conference on Rafale deal issue at AICC HQ, in New Delhi. 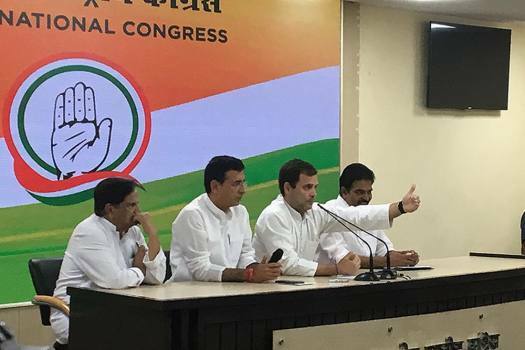 Congress President Rahul Gandhi addresses a press conference at AICC office, in New Delhi. 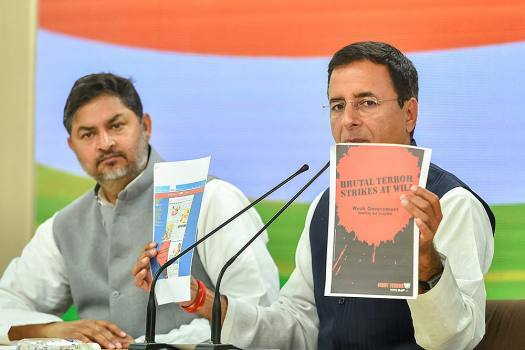 Party Spokesperson Randeep Surjewala is also seen. 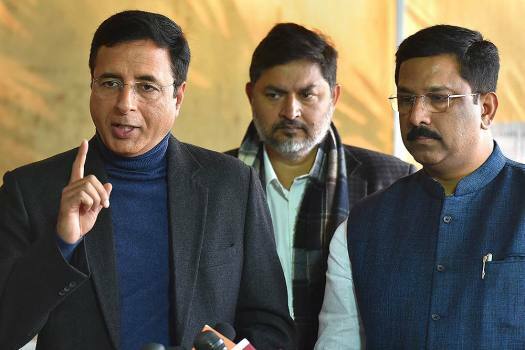 Congress leader Randeep Singh Surjewala addresses the media at Parliament House in New Delhi. 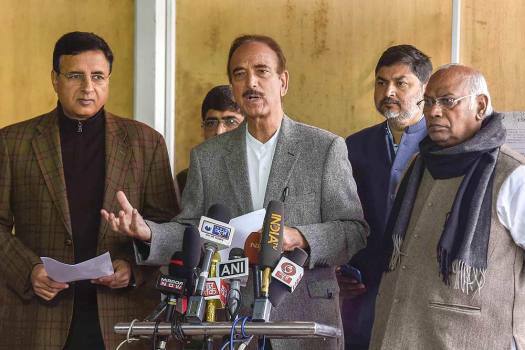 Congress MP Ghulam Nabi Azad, addresses the media during the Winter Session of Parliament Session, in New Delhi. 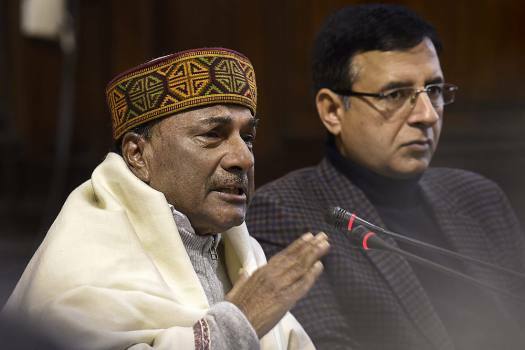 Congress leader and former defence minister AK Antony addresses the media on AugustaWestland VVIP chopper deal, during the Winter Session of Parliament, in New Delhi. 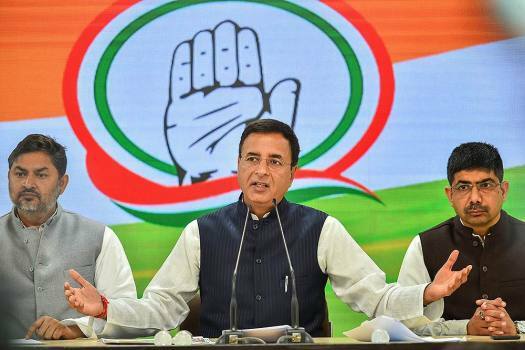 Congress spokesperson Randeep Singh Surjewala addresses a press conference at party headquarters in New Delhi. 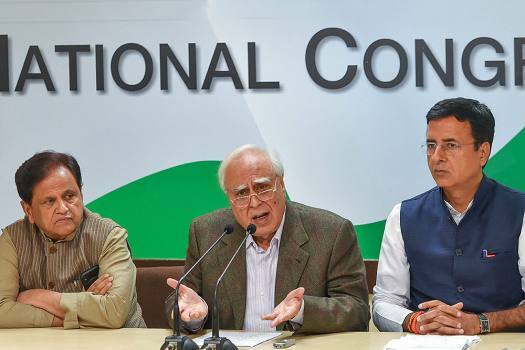 Congress leaders Kapil Sibal, Ahmed Patel, Randeep Surjewala during the special press briefing in New Delhi. 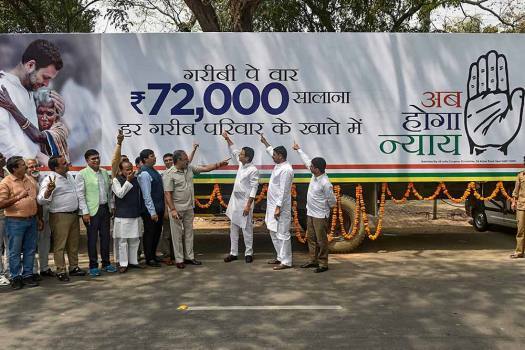 A green laser light pointed at Congress President Rahul Gandhi during his roadshow in Amethi created a scare. 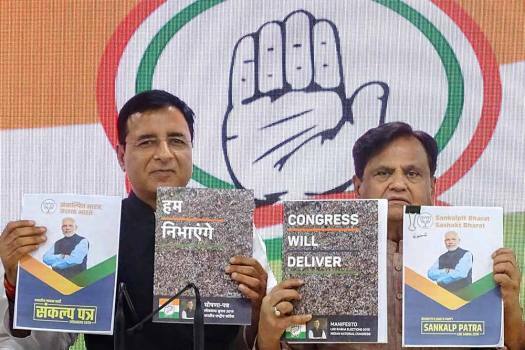 The Congress party will launch its publicity campaign for the upcoming Lok Sabha polls on Sunday which is largely expected to amplify the party's manifesto promises on the minimum income guarantee scheme Nyuntam Aay Yojana (NYAY). Uttar Pradesh CM Yodi Adityanath said in 1857 the entire country fought against Britishers with Mangal Pandey, then this Muslim League virus came and spread in such a way that the country was divided. 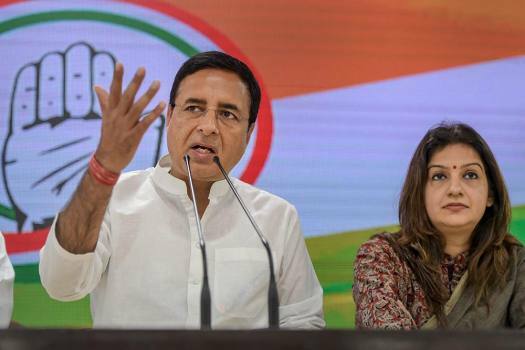 Congress on Saturday said the Modi government was set to borrow Rs 7.1 lakh crore and cited that the fiscal deficit had risen to 134 per cent in the first 11 months of the current financial year. 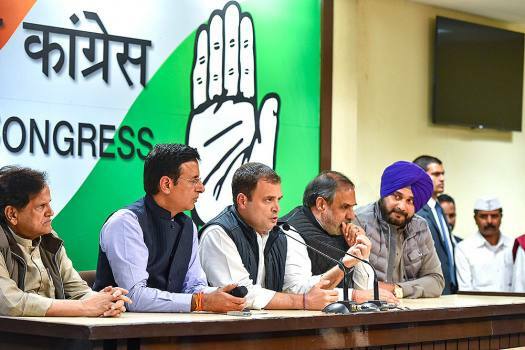 The party argued that Gandhi contesting from two seats in northern and southern regions of the country 'will strengthen national unity and integration' and energise the party workers. The attack came after Modi sent his best wishes to Khan on the Pakistan National Day, which is celebrated to mark the Lahore Resolution on March 23 each year.